Chamber music has been a source of great joy for Mary Rose. Always fueled by the inspiring performances of her colleagues, she thrives on feeding off the energy of her fellow musicians. From duos to piano trios to playing for the Dr. Mallory Thompson and the Northwestern Wind Ensemble, Mary Rose always finds a new challenge and revelation in playing with other musicians. One such memorable endeavor was her performance of Hindemith's Kozertmusik (Op. 49), a quasi-piano concerto played with brass and two harps, with conductor Betsy McKann and the highly talented brass players and harpists of Northwestern. The unusual ensemble, as well as the fascinating music, made for a satisfying collaboration. Norell has benefited greatly from the help of her many coaches over the years: Ursula Oppens, Peter Lloyd, Ilya Kaler, Steve Cohen, Linda Strommen, Atar Arad, Gail Williams--to name a few. These performer/pedagogues have illuminated innumerable aspects of musicianship and ensemble, their help and encouragement invaluable. 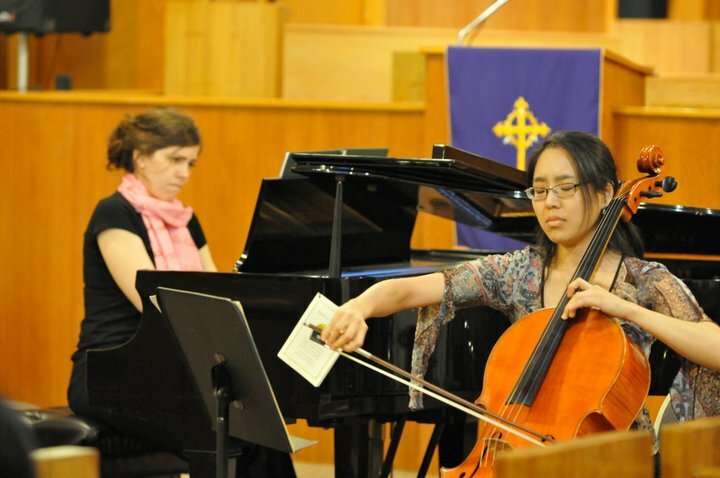 She has greatly enjoyed re-connecting with her former violin instructor and Fort Wayne Philharmonic violinist, Kristin Westover, in collaborating for performances over the last two years. Mary Rose realizes that her study of violin--along with her study of voice--has deepened her understanding of musicianship and expression.